Max Ellis (8), Christian Caruso (9), Alessio Caruso (11). ABOUT 19 West Balcatta Primary School students rallied to support a fellow classmate diagnosed with leukaemia by shaving their heads last week. 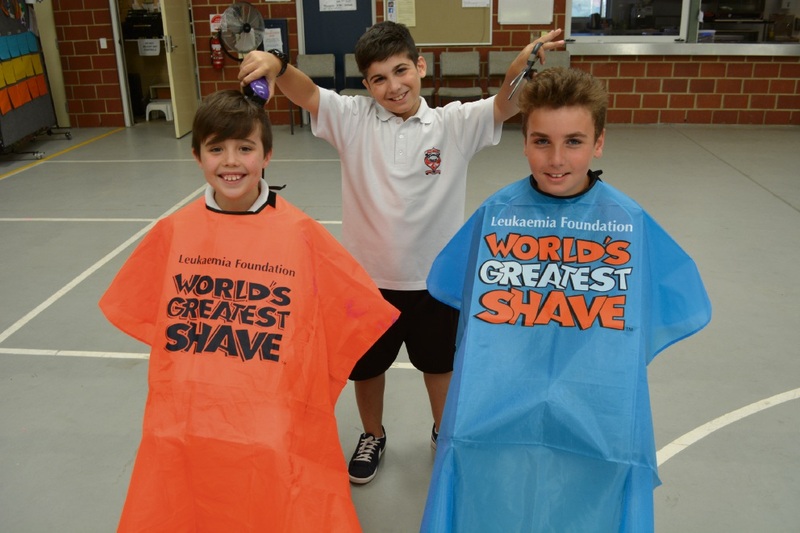 The school hosted its annual World’s Greatest Shave event to raise more than $13,000 for the Leukaemia Foundation. It was the second year in a row the event was dedicated to Year 4 student Christian Caruso. One staff member also participated in the shave. Christian’s older brother Alessio and his best friend Max Ellis raised about $3700 between them ahead of their first meeting with the clippers. “Christian is my best friend and nothing would really stop me from doing it,” Max said. The brothers’ mother Grace said her family was “overwhelmed” by the school community’s support for her son. “It is actually like we are at home…the support is amazing,” she said. “Max and Christian actually went to playgroup together when they were two years old. Grace said Christian’s journey had been life changing. “(Christian) was diagnosed in July 2015 when we were packed up and ready for a cruise holiday to Italy,” she said. “He takes chemotherapy tablets daily amongst other tablets…those tablets sometimes are too strong so his blood count is lower. She said her son’s condition came with its difficulties and he was experiencing a down period at the moment.